Donald Trump “Bobbling Middle Finger” Doll is to be had for a limited time only. Get yours today, at the same time as you still can! 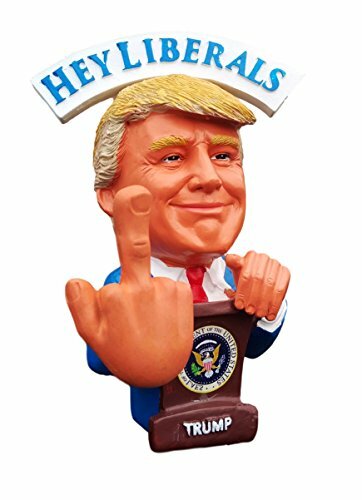 Proudly display this bobblehead inspired figurine on your desk and help “Make The united states Great Again.” The deplorables have spoken, it is time to put The united states First again! Show that you’re on board the Trump train celebrating the victory of Donald Trump 45th president and Mike Pence vice-president. 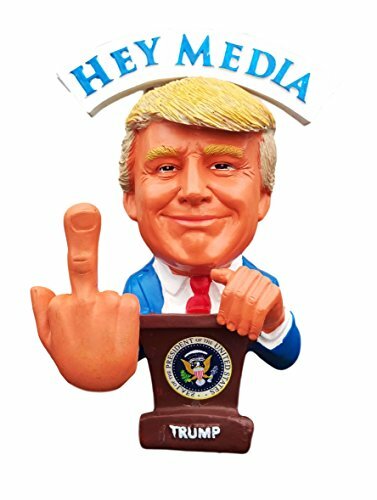 THIS IS THE ORIGINAL PATENTED DONALD TRUMP BOBBLE FINGER – HAND MADE Donald Trump F##k You Media And F##K You Liberals I Am A Winner #MAGA ONLY THE FINGER BOBBLES!!! THIS IS WHY IT IS CALLED A “BOBBLE FINGER”!! !THIS IS NOT JUST ANY BOBBLEHEAD!!! 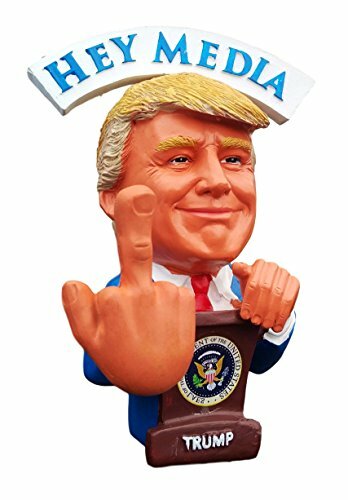 This is the Donald Trump Patent Pending BOBBLE FINGER BOBBLEHEAD!!!! where the MIDDLE FINGER hand bobbles and head is stationary. This is the ultimate Donald Trump proclamation for 201 to say F$%K The Media and F%K The Lioberals because I Am Making AMERICA GREAT AGAIN! 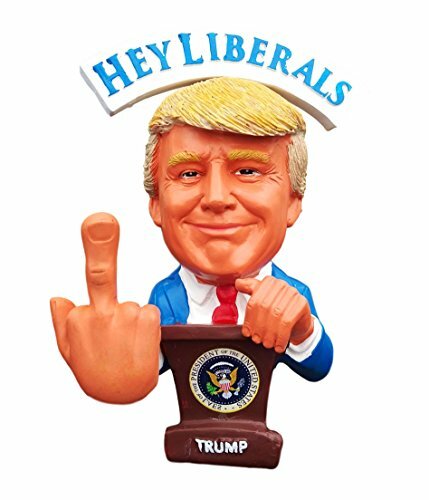 These Limited Edition Bobbles are the most Unique, funniest Trump toy out there especially with his Timeless Expression and Bobbling MIDDLE FINGER BOBBLEHEAD. This Will demand respect and get numerous laughs. A MUST BUY! Incredible Likeness Right Down To The Donald Trump Hair. Impossible to resist Little Donald J. Trump Figurine. 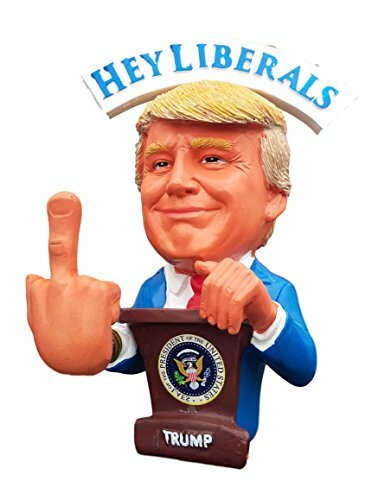 Two Sided “Hey Media” and “Hey Liberals” Banner Above Trump’s Head Is Reversible or Removable Allows Trump To Flip Off The Liberals Media Or Someone You Want Him To. Put This Trump Doll On Your Desk. Your Conservative Friends Will Love It And Even Your Liberal Friends Will Laugh. 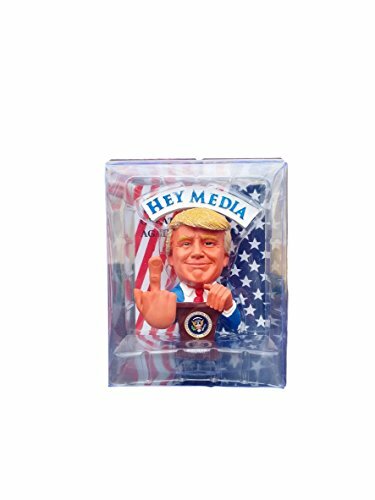 Comes Packaged In Clear PVC Packaging Perfect For Wrappimg And Giving As A Political Humor Gift Or Political Gag Gift For Yout Favorite Liberal.